Hardwood floors give homes a beautiful and traditional feel. Carpet has its benefits, but nothing compares to a nice wood floor. So what happens if your floor has worn with age? Or if you’ve just installed a new floor and wonder what’s the next step. That’s when a homeowner should consider sanding the floor. With our wood floor sanding in New City NY, your floors will look great with our prompt and attentive service. The professionals at Majestic Floors take your satisfaction seriously, and we work hard to restore your hardwood to like-new conditions. If that's not enough, continue reading for reasons wood floor sanding in New City NY is important for wooden floors. Say you’ve had your hardwood floor for ages. While you love the look and feel of wood, the floor just seems…dated. It’s only natural. It may be time to restain your floor boards and bring them to new life. No staining job is complete with a proper sanding first. You want to begin with a level surface before applying the final stain. So, your hardwood floor was just installed, either by you or us. What's next? This all depends on whether your floor came prestained or the boards came in their natural state. In the instance of the latter, it is time for wood floor sanding in New City NY. You could go purchase all the equipment necessary or call a team who’s done exceptional jobs or years. Your hardwood floor is busted up. Maybe the seasonal moisture got to it or some type of accident destroyed portions of your boards. No matter the reason, you’re counting up final costs in your mind. You think reinstalling the floor is your only option. It doesn’t have to be. You can sand down portions that rise above ground level for an easy fix. In more damaged areas, you can simply replace the floor board in one (or multiple) location. Don’t rip up the entire floor. Save yourself time and money with wood floor sanding in New City NY. Maybe the top three items don’t apply to you. Your floor has retained its color, has remained strong, and is free of damage. Still, consider the extra traffic in your home during the holiday season. It may be time to strengthen your floor boards anyway, or improve their appeal before the guests come over. Sand the floor, stain it the color of your choice, and await the fabulous parties to come. There you have it. If you're looking to repair or update your wood floor this holiday season and want to forgo the labor, call a team who specializes in bringing years of experience and knowledge to wood floor sanding in New City NY. For more information about wood floor sanding in New City NY, call the professional team at Majestic Floors today at (201) 739-1144. Over the years, your hardwood floor accumulates scratches, debris, dents, and loses its shine. Dustless wood floor sanding in Ridgefield NJ can rejuvenate the appearance of your hardwood floors just in time for the holidays! For many years, Majestic Floors' professional hardwood specialists have updated floors in NY and NJ using expert methods, knowledge, and leading products and equipment to promptly have your hardwood floor looking like-new again. Before you entertain guests this holiday season, prepare your hardwood with dustless wood floor sanding in Ridgefield NJ. With proper care, a hardwood floor can last you years. However, with normal wear-and-tear, you will need dustless wood floor sanding in Ridgefield NJ sooner rather than later to bring your floor up-to-date and restore its natural glow. Over time, it’s very common that your floor acquires dents and scratches. Once the luster is gone, your floor becomes less of a focal point of your room and no longer reflects sunlight through a window. Instead of a beautiful floor that illuminates a room with its glow, your floor will appear unkempt and dull. Once your floor is complete, you’ll be amazed at the difference. Not only will your floor shine, but the added beauty it brings into your home will give your room a great updating just in time for holiday guests! Our dustless wood floor sanding in Ridgefield NJ requires very little cleanup, considering our equipment is 99% efficient at catching dust as small as .5 microns. With our years of experience and dedication to your satisfaction, we’re the professionals to call when you’re looking for dustless wood floor sanding in Ridgefield NJ. For more information about dustless wood floor sanding in Ridgefield NJ, call our expert hardwood floor professionals today for a free hardwood floor quote at (201) 739-1145. But don’t take our word for it, see what our past customers have said in dustless wood floor sanding reviews in NJ! Welcome guests into your updated home this holiday season with dustless wood floor sanding in Alpine NJ. After years of spills, scuffs, and everyday walking, your hardwood floor begins to lose its luster. A once bright wood floor, a focal point of your home, can begin looking tired and dull. At Majestic Floors, our professional hardwood sanding team has years of expert service with dustless wood floor sanding in Alpine NJ. With our equipment and methods, we guarantee 100% dustless wood floors – which means that once we’re finished, the only thing left to do is enjoy your rejuvenated floor! Preparing for wood floor sanding can be a chore. Covering walls and valuables takes time and energy – and then cleaning up any dust that may have gotten stuck to covering creates another task after the sanding process is complete. Our dustless wood floor sanding in Alpine NJ is 99.9% efficient at capturing dust as small as .5 microns. So there’s little extra preparation and cleanup needed after we’re done. Wood floor sanding is a great investment if you are looking to get years out of your current hardwood floor. Our dustless wood floor sanding in Alpine NJ can remove cracks, scuffs, dullness, and provide your room with gleaming, reflective natural light. Our commitment to customer satisfaction has us using practices that are efficient, prompt, and affordable. Our years of experience have allowed us to provide exceptional service time and again, giving you wood floor added life with dustless wood floor sanding in Alpine NJ. Our dedication to your hardwood floor and satisfaction has us working hard to restore your hardwood floors. They'll look great just in time for this holiday season! 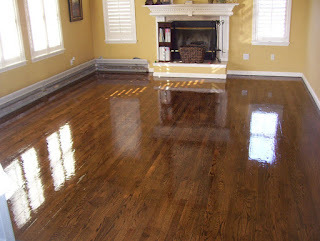 Your guests will be amazed at the shine in your hardwood floor! For more information about dustless wood floor sanding in Alpine NJ, call our expert hardwood floor professionals today for a free hardwood floor quote at (201) 739-1145. But don’t take our word for it, see what our past customers have said in dustless hardwood floor sanding reviews! Get your home ready for the holiday season early with dustless wood floor sanding in Rockland County NY. For years, Majestic Floors has updated hardwood floors in historic Rockland County using our experience, the right equipment, and prompt service. Our professional team can have your home looking fresh and your floors like new again just in time for holiday celebrations. 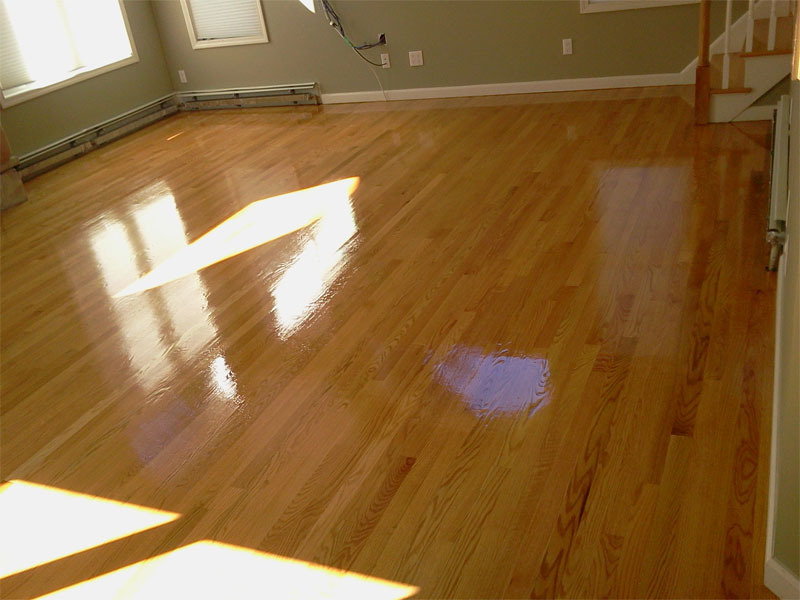 With our dustless floor sanding in Rockland County NY, you won’t even notice we were there – except for the gleaming hardwood floor we leave for you to enjoy! Hardwood floor sanding is a great way to update the look of your home without having to install an entirely new floor. Cracks, chipping, scuffs, and stains can be removed with our expert services performed with efficiency and care. We utilize dustless wood floor sanding in Rockland County NY to keep you satisfied, and there’s great happiness that comes with little cleanup! Did you know that wood floor sanding can provide more light in your home? It’s true! Older hardwood floor becomes dull and doesn’t reflect light in the way an updated floor can. When guests visit your home to share laughs, food, and company, they’ll be very impressed with the modern look your home has received through dustless wood floor sanding in Rockland County NY. Have a friend with allergies? Wood floor sanding minimizes the presence of dust mites, and without cracks to get stuck in, your guests will be able to enjoy time spent in your home without allergic reactions. See what our former customers have said about us in dustless wood floor sanding reviews – you’ll be just as impressed as they are! For more information about dustless wood floor sanding in Rockland County NY, call the hardwood floor experts of Majestic Flooring today at (845) 356-1144. We’re eager to get started!